How to Remove All Kinds of DRM Protection? > Tutorials > How to Remove All Kinds of DRM Protection for a better digital life? How to Remove All Kinds of DRM Protection for a Better Digital Life? It is common knowledge that Apple Music, audible audiobook, iTunes movies, Amazon books and encrypted WMV are all protected by DRM, a set of technologies to restrict the use of proprietary hardware and copyrighted works. That means DRM protected songs, music and audiobooks can be just reached on restricted devices. For those who want to transfer those files to other devices, it is really an annoying problem. Below is the software solution you need for iTunes DRM removal. As what’s mentioned above, digital rights management is a way to post restrictions to the use of digital media, such as movies, songs, streaming media, videos, audiobook. End users should be authorized to use DRM-ed files on particular devices. However, the application of DRM is not widely accepted. Those who support DRM think that it is necessary to protect proprietary works from being copied. Opponents argue that it cannot be proved that DRM helps prevent copyright infringement. And it is not convenient for legitimate customers. Meanwhile, it restricts innovation and competition in big corporations. Some customers suffer a lot because of DRM. If digital rights management is removed, the originally projected files can be accessible on other non-authorized devices. Then, how to remove all kinds of DRM protection? To be more specific, the software solution of removing DRM of Apple Music, audible audiobook, iTunes movies, Amazon books and encrypted WMV will be discussed in detail. The songs downloaded from Apple Music were originally DRM protected M4P at the very first. Though Apple abandoned M4P and switched to DRM-free M4A for iTunes Music, M4P came back again and added to Apple Music songs. And Apple Music M4P songs can only be played on the devices with associated Apple ID authorized. What if you want to play the music on iPod Nano/Shuffle or MP3 player? What if you want to use that song as the BGM of a video you are making? It is inappropriate if there still is DRM protection. 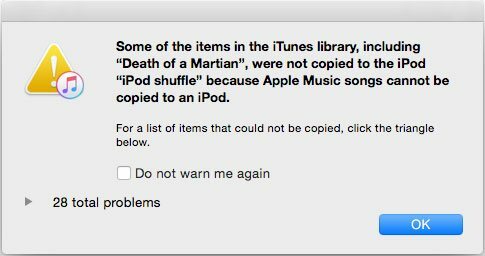 Below is what happens when you try to sync Apple Music songs to iPod Nano or iPod Shuffle. With TuneMobie Apple Music Converter, M4P can be converted to plain MP3/M4A so that Apple Music can be used on any devices you prefer. What need to be prepared is a Windows/Mac computer and a USB cable. As it is finished, simply use the USB cable to transfer the MP3 files to devices like Android/Windows phones, PSP, Sony Walkman and MP3 players, or sync to iPod Nano/Shuffle with iTunes. Audiobooks from Audible of Amazon are in AA and AAX format. As you know, they are also protected by DRM. That means those audiobooks can just be listened to on Audible compatible devices, such as iPhone, iPad, Kindle Fire, etc. Similar to Apple Music, Audible Audiobook can be converted to MP3 or M4A so as to be put into other devices but not only Audible compatible devices. The process of using TuneMobie Apple Music Converter is the same. Its amazing features help you enjoy audiobooks on any devices. iTunes is a digital media player application and online store developed by Apple Inc.. People can purchase movies and TV shows as well as rent movies on iTunes Store. Of course, all of them are DRM-ed. They can just be played in authorized iPhone/iPad/iPod Touch/Apple TV and Windows/Mac. So Apple Music songs can be converted to MP3 by TuneMobie Apple Music Converter. How about the M4V videos? You need the software TuneMobie M4V Converter Plus which can help to remove DRM and convert to MP4 with 100% video quality, all subtitles and audio tracks retained. How to use TuneMobie M4V Converter Plus? It's quite simply. Follow the steps below and you will get all-purpose MP4 videos. Step 3: Select the audio and subtitles tracks. By default, the software will keep all of them. 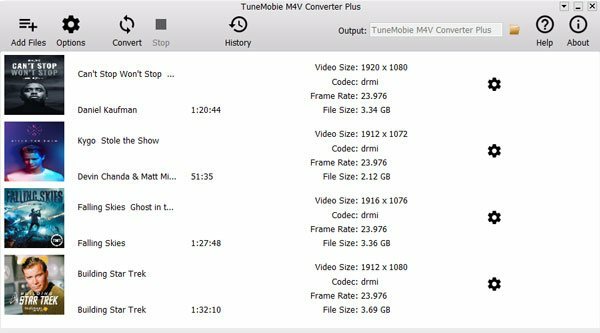 By the way, if it will be more cost-effective and convenient for you to use iTunes Converter Toolkit on the condition that you are in need of converting both Apple music and iTunes M4V videos. Reading books on Kindle from Amazon is kind of lifestyle now. It is good for our eyes and easy to carry with us. 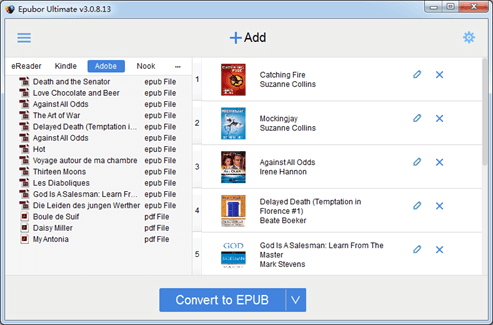 And the best DRM eBook Converter is Epubor Ultimate. 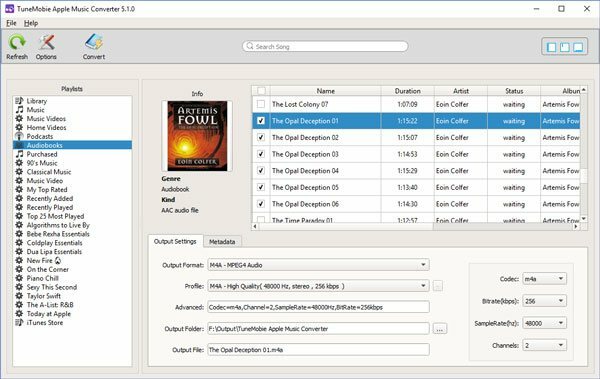 Epubor Ebook Converter Ultimate is extremely easy-to-use, simply add your book to the program and choose output format to convert. You will get DRM-free ebooks you can read on iPad and many other readers. For videos, there is an encrypted format WMV (Windows Media Video). It is not hard to understand that its usage is also limited to specific devices as it is both DRM protected and encrypted. A one-stop software named Aimersoft DRM Media Converter can definitely solve this problem. Aimersoft DRM Media Converter can help you legally bypass digital copyright protection from WMV and ASF videos downloaded or purchased from Windows Media Centre, Zune Marketplace, BBC iPlayer, Xbox Live Store, Amazon Instant Video, Limewire, uTorrent, FrostWire and more. Aimersoft DRM Media Converter can convert DRM WMV to MP4, unprotected WMV, AVI, MKV and many more formats as well as MP3 or other audio formats. To remove DRM protection from WMV videos, simply add purchased WMV videos to the program, choose an output format and click Start button to start conversion. Please note that, you must have the ability to play the WMV videos first. Where DRM is, there is a corresponding DRM removal solution. 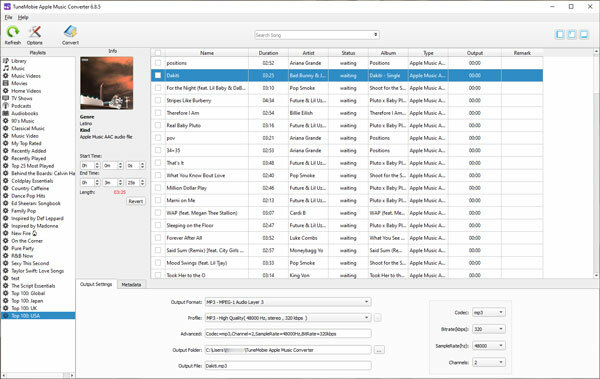 For iTunes users, TuneMobie Software provides best iTunes DRM removal solutions including TuneMobie Apple Music Converter, TuneMobie M4V Converter Plus and iTunes Converter Toolkit. Therefore, next time you are bothered with the problem of not being able to transfer Apple Music, audible audiobook, iTunes movies, Amazon books and encrypted WMV to any devices, the best program solution is right there waiting for you. We recommend you use the DRM removal software for personal usage only. Any commercial use will be strictly prohibited.